Situation Concern in Butembo and Katwa : In the past three weeks, a significant increase in Ebola cases has been observed in Butembo and Katwa. The main challenges in these areas are related to the high density and mobility of the population in this major trading city of North Kivu. Moreover, the expression of reluctance by the community is more violent than the reluctance usually observed during previous Ebola outbreaks. A minority of the population in these areas express their reluctance through the regular destruction of medical equipment and health centers as well as the physical attacks of health workers. Prevention and control of infections : Another unusual aspect of this epidemic is the role played by centers of traditional health practitioners in the nosocomial transmission of the virus. A parallel consequence of these nosocomial infections is the contamination of a large number of healthcare providers. To date, 44 health workers have been infected (9% of the total number of cases), of whom 12 have died. Strengthening infection prevention and control measures in public, private and traditional health facilities is one of the priorities of the teams today. Vaccination : With more than 40,000 vaccinated people, vaccination teams have prevented tens of thousands of cases and deaths. 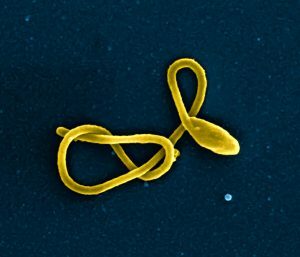 Without the intervention of the agents of the response, the country would probably have already reached more than 10,000 Ebola cases in 4 months, or nearly half of the balance sheet of the epidemic in West Africa that lasted 2 years. years. Conclusion : The Minister of Health concluded his presentation by acknowledging the remarkable work of the response teams in preventing the spread of the epidemic to Goma, Bunia and neighboring countries. However, he said the epidemic will last for several months and that the risk of spread will remain high until the epidemic is completely extinguished. Since the beginning of the epidemic, the cumulative number of cases is 471, of which 423 are confirmed and 48 are probable. In total, there were 273 deaths (225 confirmed and 48 probable).